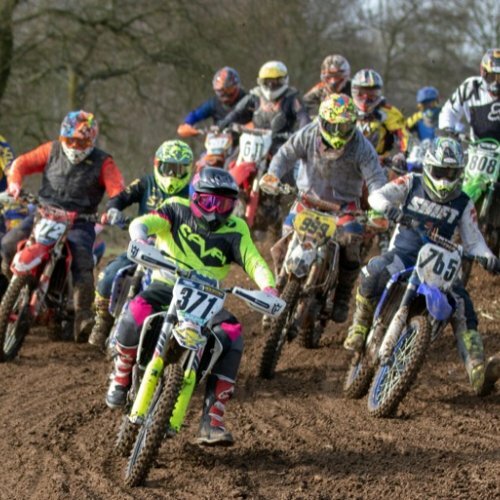 The twelve race programme included three groups of allcomers, plus round one of the popular NGR over 30's championship, and after timed practise, the allcomers C group featured in race one, racing for the Graham Garrod memorial trophy. The first recipient of this new trophy was won by Lewis Dorling, with Vince Pryke in second place, followed by Gareth Robertson, who, despite crashing twice, still managed third place. 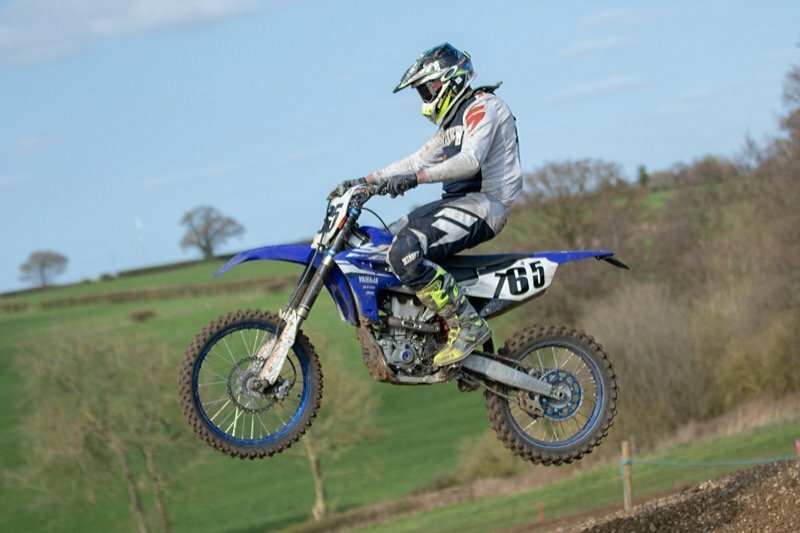 Dorling won the other two moto's for the overall win, and Robertson's two second places ,plus a third place finish, gave him second overall, from Pryke and lady racer, Geogia Patterson. 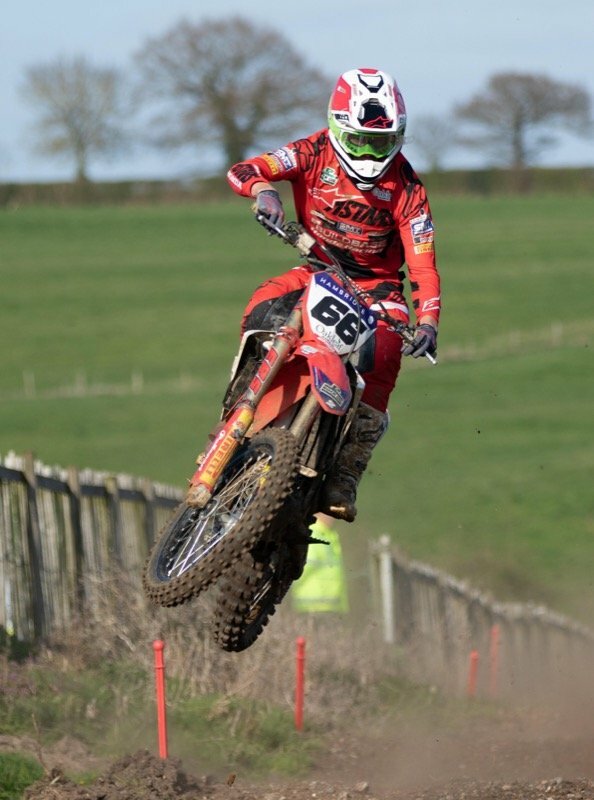 Group A saw the expert grade riders mixing it with the fastest juniors from timed practise, and Halstead club rider, Lewis Tombs, riding for the Buildbase Honda team as a replacement for the injured Jake Nicholls, was in great form, winning all three moto's. 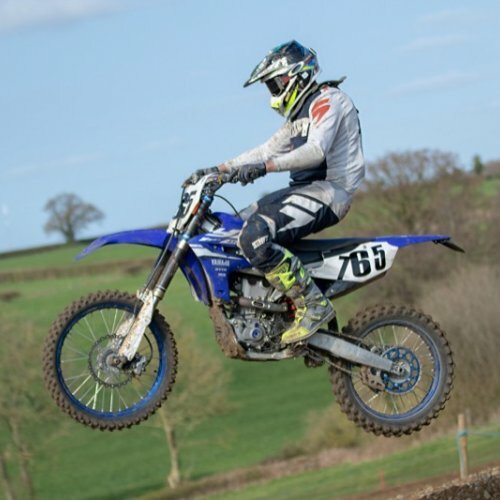 2018 Eastern champion, Shaun Southgate actually led the first race for a couple of laps, until Tombs took over, and from then on, he was always in charge. 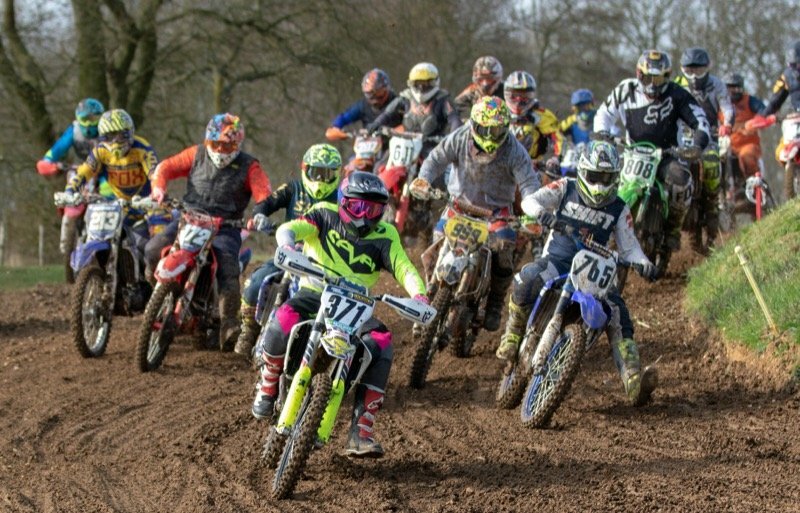 Southgate was second in each race, and Norfolk's Declan Whittle raced to three third places. 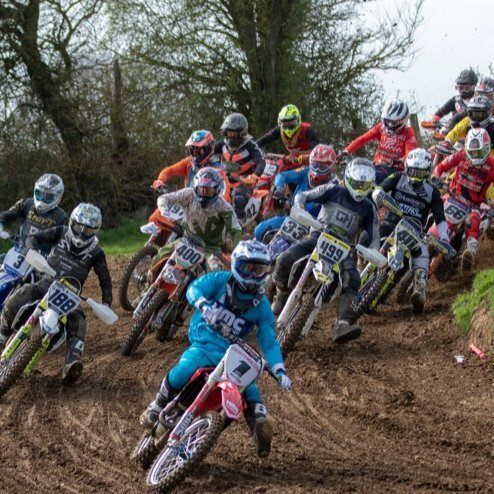 Behind the leaders, several young riders were thrilling the crowd with some closely fought battles, which included Harry Clark,Reece Martin, Rheis Morter, Josh Peters and Daniel Patterson. Race two saw Kerry at the front until Hinz took over,only for the race to be stopped after a fallen rider had blocked the track. 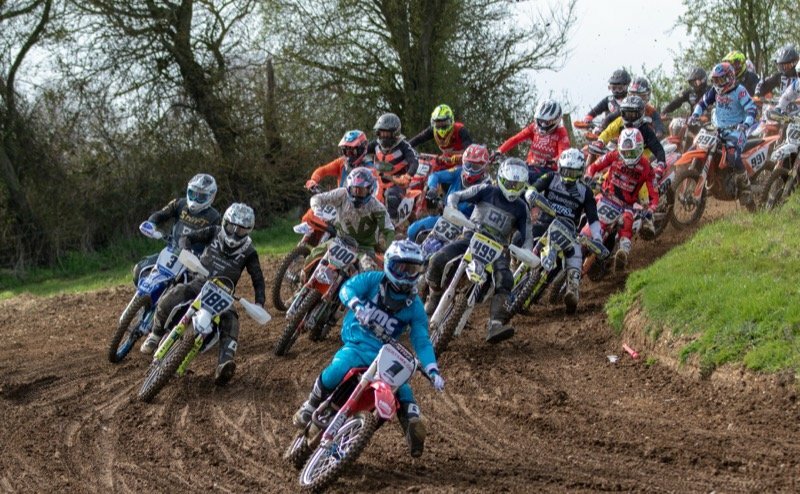 Chris Thorpe led the rerun with French and Kerry chasing hard, but it was Mark Hunt who was on a charge, and with two laps remaining, snatched second place behind Thorpe.French held onto third place, followed by Kerry, Hinz, and former champion, Liam Walker. The third and final leg saw yet another winner. 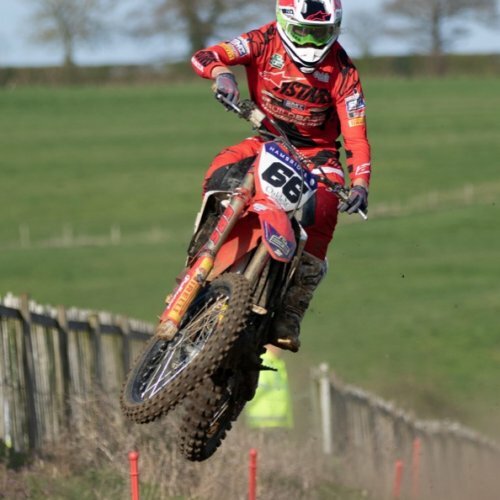 Kerry stormed to the front and although French, Thorpe and Hunt were all involved in a tight four way battle for the lead, it was Kerry who took the win, and the overall on the day. Hunt fought hard again to claim second place, ahead of Thorpe, Hinz, and a tiring Matt French.